Updated Monday May 14, 2018 by Fountain Hills Soccer Club. Each season, the club incurs expenses for insurance, equipment, training, uniforms, etc. Registration fees are an important component of the club’s income, however, with the goal of keeping registration fees affordable, fees do not cover all costs. We are requesting your support. 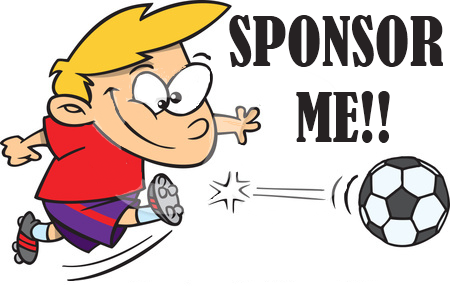 Sponsorship funds help us maintain a quality soccer program for our children and foster club membership growth. In turn, we provide one of the highest quality soccer clubs in the Valley. We have several levels of sponsorship opportunities that offer businesses the chance to be recognized for their active role in the improvement and growth of the club and soccer in Fountain Hills. The club strives to obtain sponsorship for each team. Company name on practice shirt and club banner. Company logo and website link on FHSC website. Company name on game jersey, practice shirt and club banner. Company name and website link on FHSC website. Please note deadline: Teams are formed after the August skills assessment clinic (August 26th). Team sponsorship dollars need to be received by September 1st, in order to ensure that your business name will be printed on your teams’ jersey. A scholarship provides funding for players in need of financial assistance. You may specify in whose name sponsorship is given, if applicable. Donor will be mentioned in FH Times and on FHSC Website.